Thank you so much for all the birthday wishes!! I had a wonderful day! 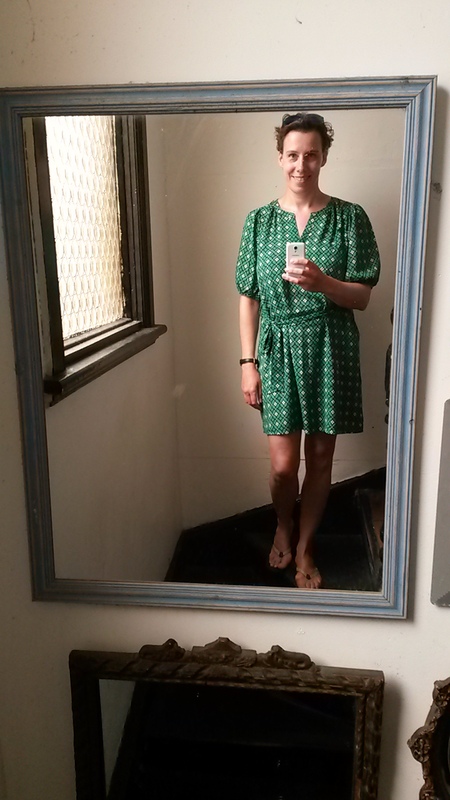 The day before I did something you shouldn’t do as a traveler: I bought myself a dress (I know, more luggage. Something else will have to be thrown out… and I will most probably get rid of it in Buenos Aires, because I won’t really wear it thereafter). It was my birthday present and it did it’s job: it made me feel special yesterday! And I even got a compliment for it from a random lady on the street. Plus, two people individually took a guess at my age this week and came up with 31/32! Apparently travelling is doing me good…! I am in Sydney for a week and I’m glad I was here for my birthday. It has a special vibe to it. 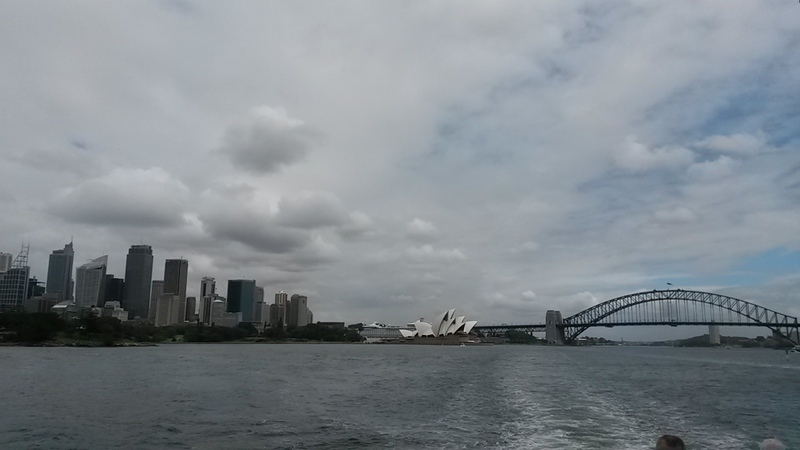 Yesterday I took the ferry to manly and enjoyed beautiful views of the city. I took a stroll at the beach, watching the surfers (plenty) and even some beachvolleyball players and chilled at a café. It was wonderfully warm and I was grateful for the clouds as the sun can be really scorching. 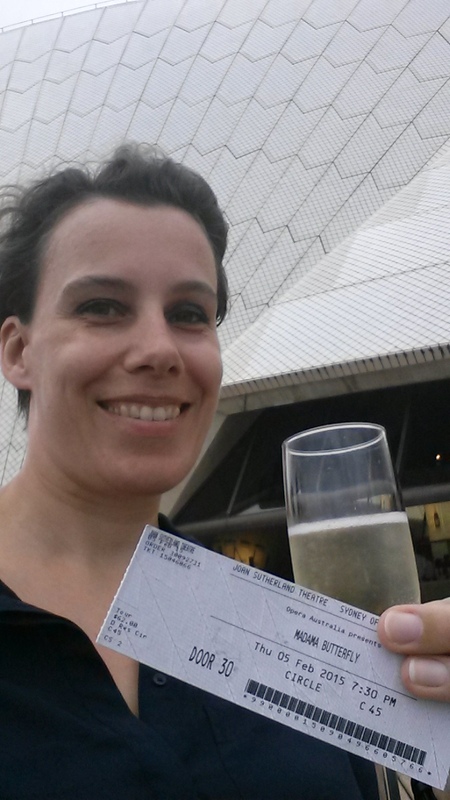 I headed back in the afternoon to get ready fo the night out: I took myself to the opera! Madame Butterfly! It was most enjoyable. Not only did I like the play and the opera house, which is truly a masterpiece, it was elevating to see the harbour dipped in light and the ships going by while sipping a glas of sparkling wine (or two, for the occasion). 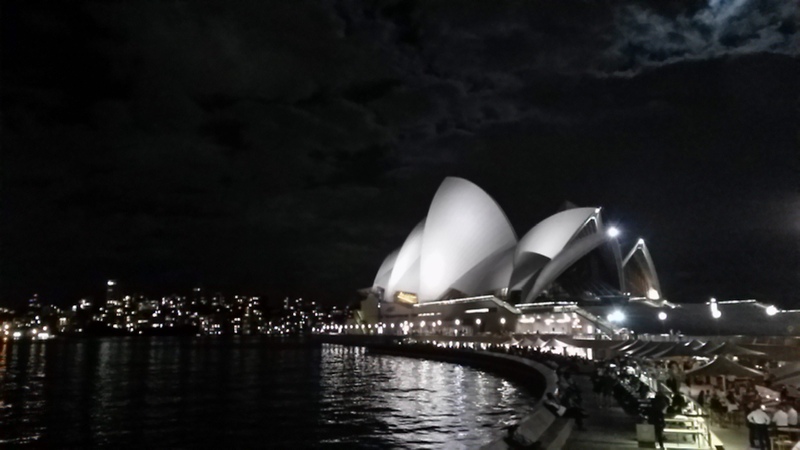 When it was finished I walked home through the pleasant evening air, the full moon rising behind the opera house. P.S. Of course “the golden ones” had their performance again! And I wish you much more much a lovly days on your way! !